I remember in High School when I was first asked to write down my personal testimony. You would think this would not be a big deal, but for some reason I had in my mind that my testimony was “boring.” I say this because I know I am not alone. There are many people who have amazing stories about how God grabbed hold of their life and saved them from drug addiction, alcohol abuse, physical abuse, etc. but mine includes none of those, so as a 15 year old, I thought it was boring. Looking back on that thought, I now know that it was absolutely ridiculous! How could the story of how God saved me from my sins and an eternity in Hell be boring? There is nothing boring about the grace Jesus has shown me, and continues to show me each and every day. So with that said, here is my “not-so-boring” testimony . . . I was raised in a Godly home with 2 Bible believing, God fearing parents. We went to church every Sunday and Wednesday and my parents sacrificed a lot to send me to a Christian school from Kindergarten through College. At a young age I accepted Christ as my Savior. But what does that mean? I think so many times as Christians we say things and use big “christiany” words without much explanation, and assume others (like my young children) will know what we mean. So when I say I accepted Christ as my Savior I mean this . . . I was/am/always will be a sinner and my sins separate me from God (Romans 3:23). The punishment for my sin is death and eternal separation from God in Hell (Romans 6:23). Thank goodness things don’t end there!! 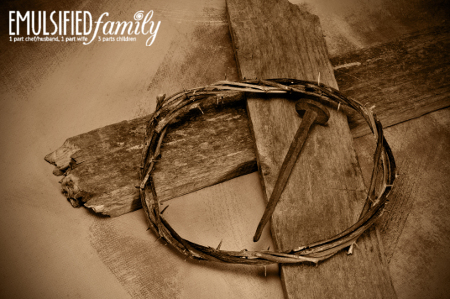 Because of God’s love for me (all of us), He sent a Savior, His Son Jesus Christ, to take the punishment for my sins upon Himself through His death on the cross (Romans 5:8). I was a sinner in need of a Savior and Jesus was/is/always will be that Savior. 3 days after taking that punishment on the cross, He rose from the dead and now sits in Heaven at the right hand of God interceding for me (Romans 8:34)! I believe that salvation is a gift from God and there is nothing we can do to earn it. All we can do is accept it. Ephesians 2:8-9 says, “For by grace you have been saved through faith; and that not of yourselves, it is the gift of God; not as a result of works, so that no one may boast.” Salvation is through grace alone, through faith alone in Christ alone. That’s it! Back to my story . . . I lived in a very comfortable environment where it was “easy” to be a Christian. When a speaker would ask us to think of a friend who was not a Christian that I could share the gospel with, I could never think of anyone. All my friends and acquaintances were from church and school (which happened to be located at our church as well.) My friends all grew up in similar families and environments as I did. What peer pressure there was, was positive. So life went on. . . .
Fast forward to Junior High. Comfortable is definitely not a word I would use in the same sentence as Junior High. I was a foot taller than everyone (still am) and things were just . . . awkward. It was Junior High. During one of those “wonderful” years, I had the opportunity to go to youth camp at Hume Lake. Among the beauty of nature and craziness of playing capture the flag in the dark forest, God changed my life. I do not remember what the speaker spoke on that night, but I vividly remember wondering if my salvation was real. Did I believe what I did because everyone else around me did, or did I really believe I was a sinner in need or a Savior? 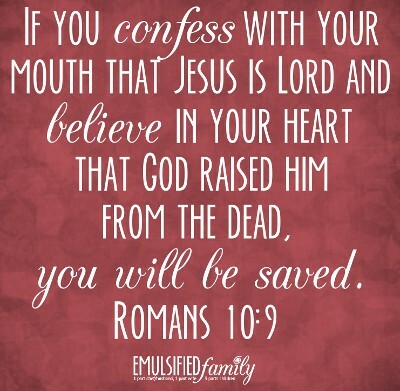 My salvation needed to be for me, not my parents, friends, youth pastor, etc. So that night, under the stars, I rededicated my life to Christ. I thanked God for His gift of salvation and confessed taking it for granted over the past years. I repented and turned away from this old life and way of thinking and I prayed that I would honor and glorify Him in all that I did and in whatever situation He allowed me to be in. Since that time (finishing High School and College, getting married, having kids, etc. ), life is no longer comfortable and easy. I have been faced with trials and situations that I never would have imagined. But through them all, God has been with me every step of the way. 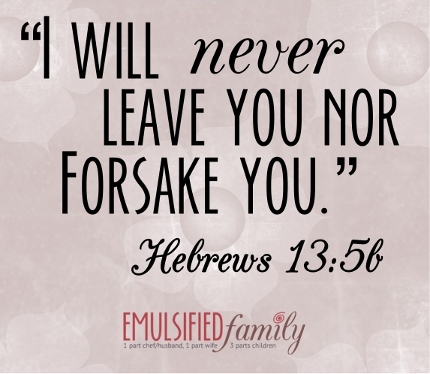 “I will never leave you nor forsake you.” What an amazing promise from God. No matter what happens, He is always there! So where does that leave me now? How do I apply this to my life on a daily basis? A few years ago, I was challenged to write a personal vision statement that addresses how I want to live my life with God in it. As I share this below, please remember what I’ve said above, and that I am a sinner and fail on most of these, if not all of them, regularly. I am so grateful for God’s forgiveness!! This is what I pray for and strive for with God’s help. So that’s it. That’s my “not-so-boring” testimony. Because after all, how could receiving a gift I don’t deserve ever be boring?